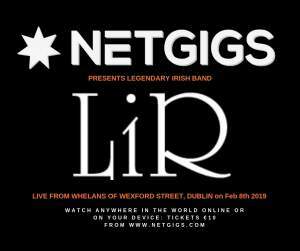 Legendary Irish Rock band LiR were active from 1990 until around 1998 although they still play occasional gigs. The original lineup was David McGuiness on vocals, Robert Malone on bass, Ronan Byrne on guitar, David Hopkins on keyboards and Craig Hutchison on drums. 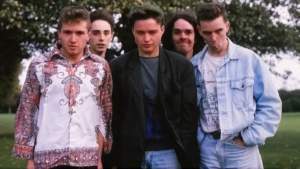 The band came together at the Ballyfermot Rock College, and were known as the Spontaneous Frogs before settling on the name LiR. They built up a following in Dublin through their popular live shows, which showcased their tightness as a group. Songs ranged from soft folk influenced pieces (they were alternately compared to Simon and Garfunkel and Nick Drake), to more post-Zeppelin quasi-progressive intricate rock songs. 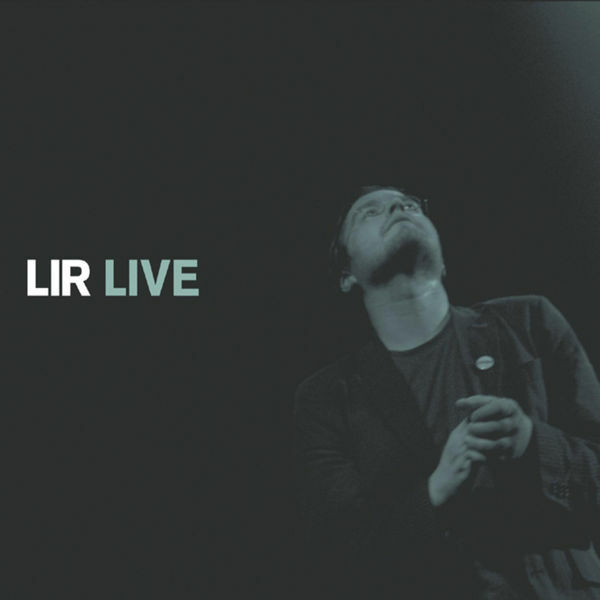 The strength of LiR’s music was that all five band members had a hand in the songwriting, leading to a diversity of styles. 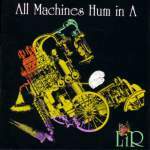 Their first release, the EP “All machines hum in A” appeared in 1993 and included “In a Day”. 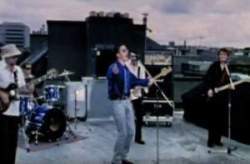 The song, with an instantly memorable piano motif received a good amount of airplay on Irish radio, and was quite removed from the prevailing grunge-dominated mood at the time. 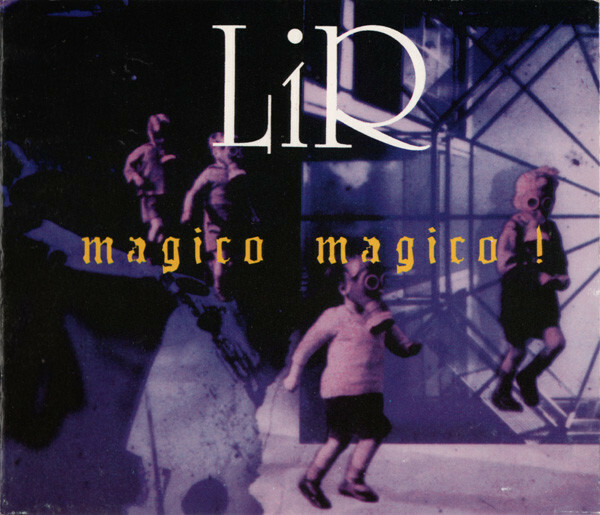 The album ‘Magico Magico’ followed soon after, on Velo Records. It featured live favourites like ‘The House of Song’, ‘New Song’, and ‘Redwood’. LiR spent most of 1994 incessantly touring the east coast of the United States. They landed a deal with W.A.R. records and Magico Magico was released there. The tracklisting was altered slightly. Two songs by David Hopkins, ‘Some Folk are Truly Evil’ and ‘Good Cake Bad Cake’ came in. 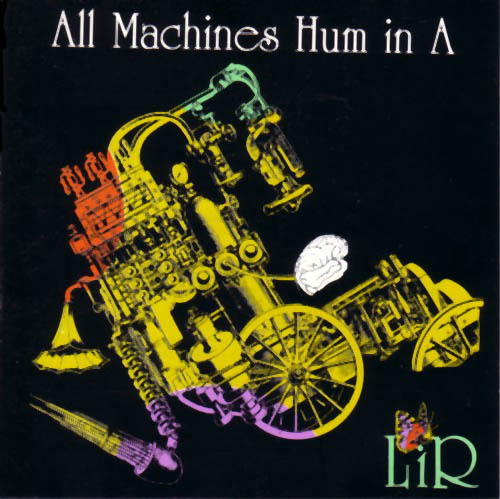 LiR toured the US twelve times including touring with The Who. They also opened for other rock icons including U2, Ray Charles and Iggy Pop. LiR returned to Ireland in August 1994 for a gig at the Tivoli Theatre which turned out to be one of David Hopkins last. His departure meant that LiR moved away somewhat from the piano based retro folk style and gigs now featured a more guitar-heavy band. McGuiness was now playing guitar on many of the songs, while Colm Quearney (aka Q) previously with Dragonfly joined the band as second (or third?) guitarist. 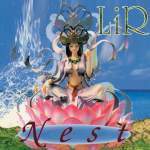 LiR continued to tour the US in 1995, and in August of that year released album 2, ‘Nest’. 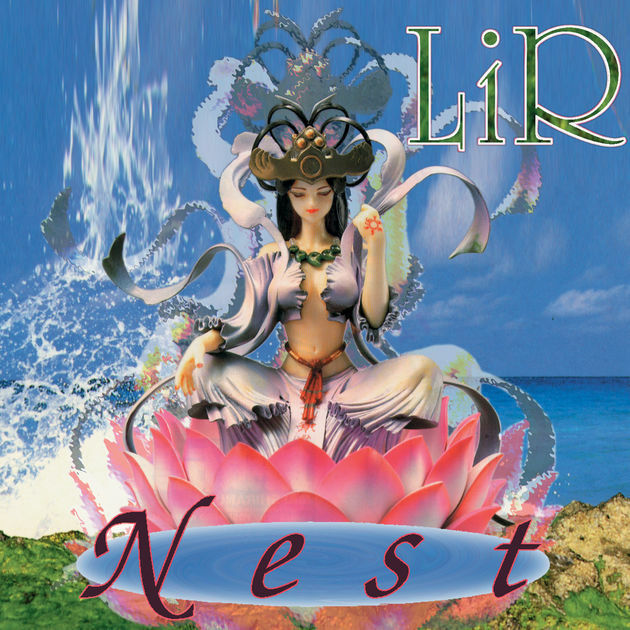 Produced by Rick Will, this album saw LiR continue in the retro-rock direction. Songs which were familiar to concert goers were included, like “Groove Improvement” and “Halcyon Days”. Some of the album’s strongest moments were ‘Room Blessing’ by Byrne, and ‘More to Me’ by McGuiness. LiR went back to the drawing board in 1996. They began to be influenced by the prevailing britpop climate, most notably in the song ‘There are more things’. This song was included in the soundtrack to Irish movie ‘I Went Down’ and a video was shot which received some airplay. Other notable songs from this period were ‘strangely sweet’ and ‘how about a change’. 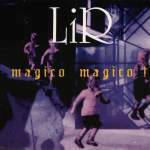 A third album however did not materialise and LiR had ceased playing together regularly by the end of the 1990s. 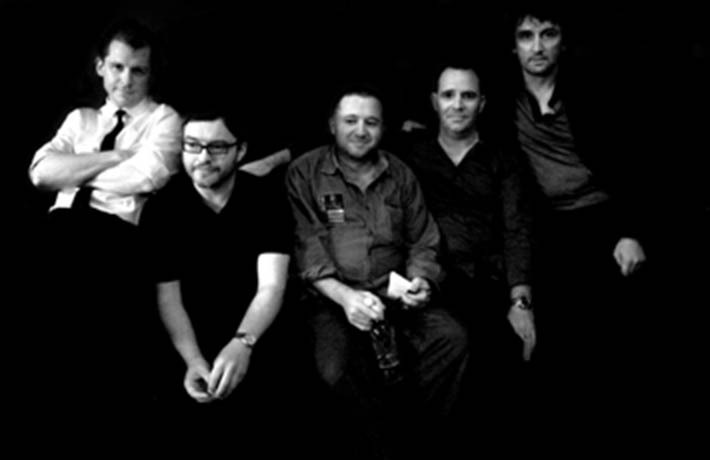 The band still reconvenes at least once a year to play a gig for the home crowd; in January 2006, they played a gig in Vicar Street alongside Damien Dempsey and Republic of Loose. The show forms the bulk of Lir Live and, along with a few tracks recorded at Whelan’s that same year, provides a nice, nostalgic trip through the many stages of Lir – from the fresh-faced prog-rockers who played like 40-year-old veterans to the steely guitar quintet of the mid-1990s to the sophisticated pop-rockers of today. The members of LiR remain active however. Based in the US, David Hopkins has released seven solo albums. Robert Malone has been playing bass for David Gray since the White Ladder era. Ronan Byrne records with his band, Earthquake Hair and David McGuiness performs solo as Bigwig. Colm Quearney, as Q, has also released three solo albums to great acclaim. 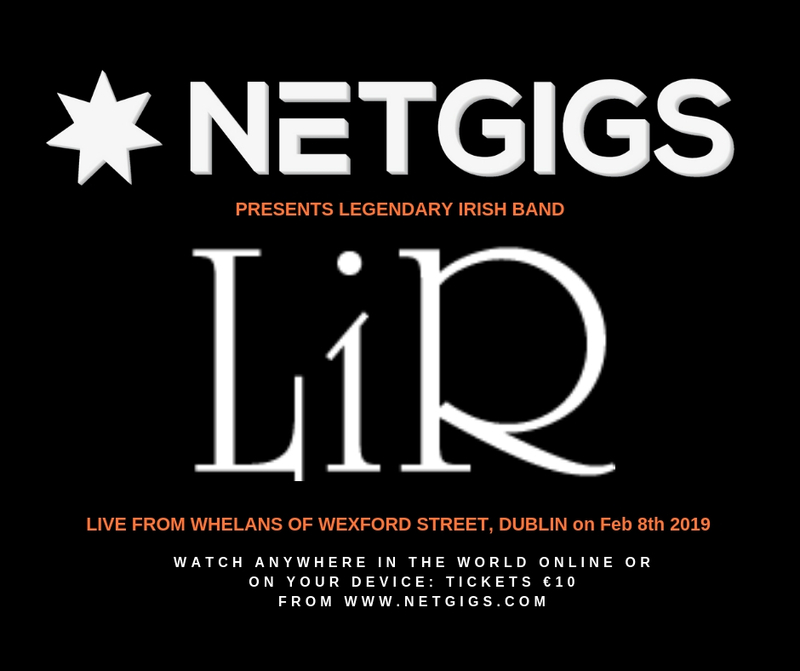 In celebration of where it all began, Lir are reforming to perform their debut album Magico Magico in full, for their fans in Whelan’s this February (ticket link), as well as fans worldwide who can tune in to the live stream on NETGIGS. The show can be streamed from anywhere in the world in real-time on any internet device for just €10. Ex member David Hopkins will be flying in from the States especially for the performance. Special guest on the night will be Ken Rice, who played violin on the album tracks.